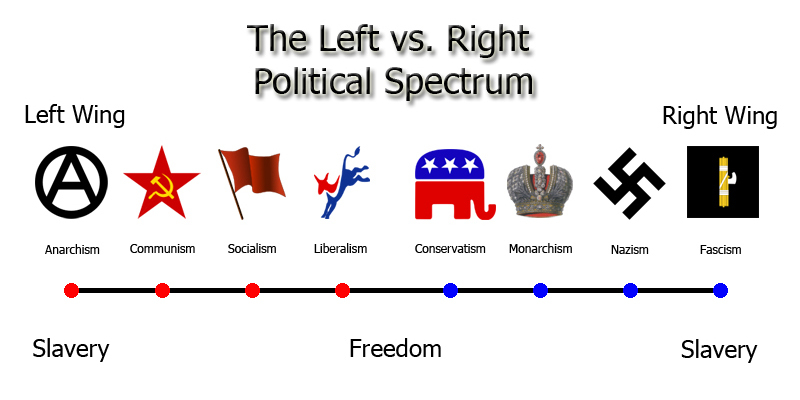 The Political Spectrum – Left Wing vs. Right Wing is a lie designed to confuse you about what freedom is. The Left includes: progressives, social liberals, social democrats, socialists, communists and anarchists. The Right includes: conservatives, reactionaries, monarchists, nationalists and fascists. SLAVERY is on both ends of the spectrum. Both the “Left” and the “Right” promote slavery and tyranny. 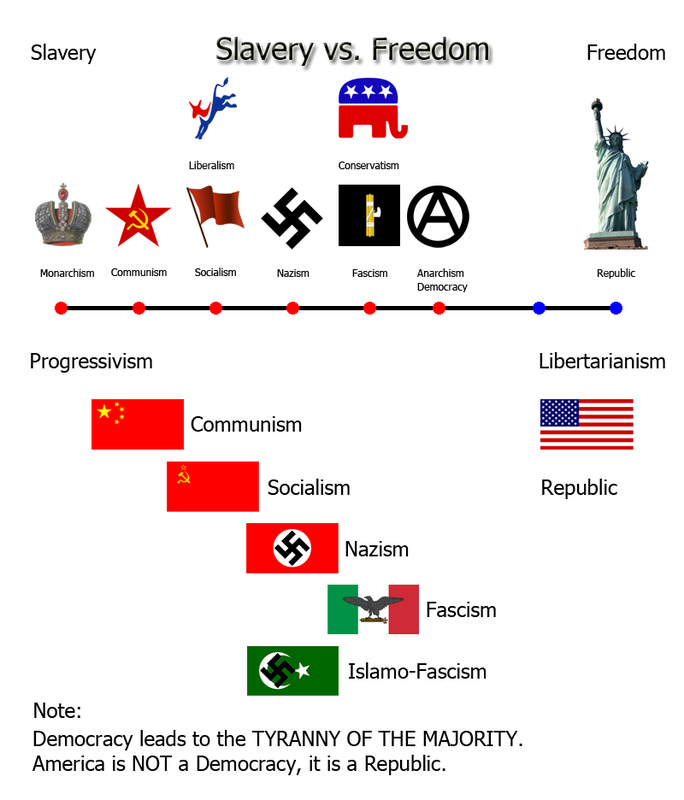 A more accurate chart puts SLAVERY on one side and FREEDOM on the other. Communism, Socialism, Nazism, Fascism and Islamo-Fascism all promote government power, dictatorships, tyranny and SLAVERY. DEMOCRACY was considered to be ONE OF THE WORST FORMS OF GOVERNMENT KNOWN TO MAN by our founding fathers. This is because Democracy leads to the TYRANNY OF THE MAJORITY. A REPUBLIC is a government that promotes FREEDOM because THE INDIVIDUAL IS SOVEREIGN. This means that the majority has no authority over the individual. 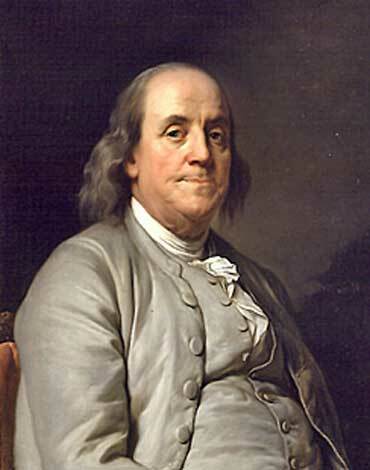 Benjamin Franklin was against DEMOCRACY. 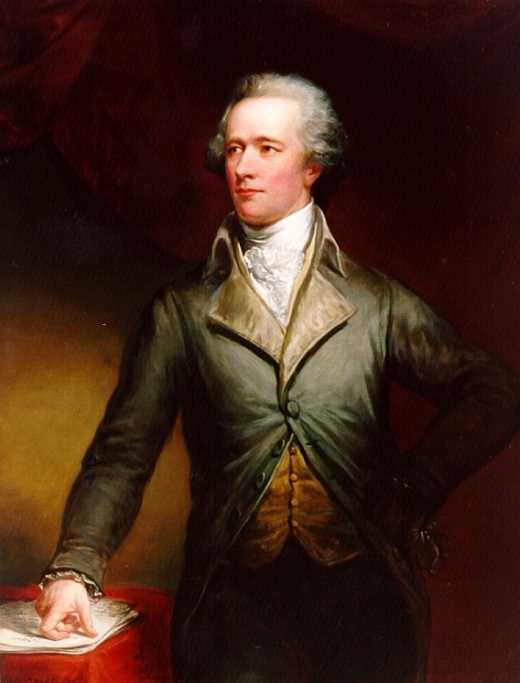 Alexander Hamilton was against Democracy. You have been lied to because those in power want to strip away your freedoms.